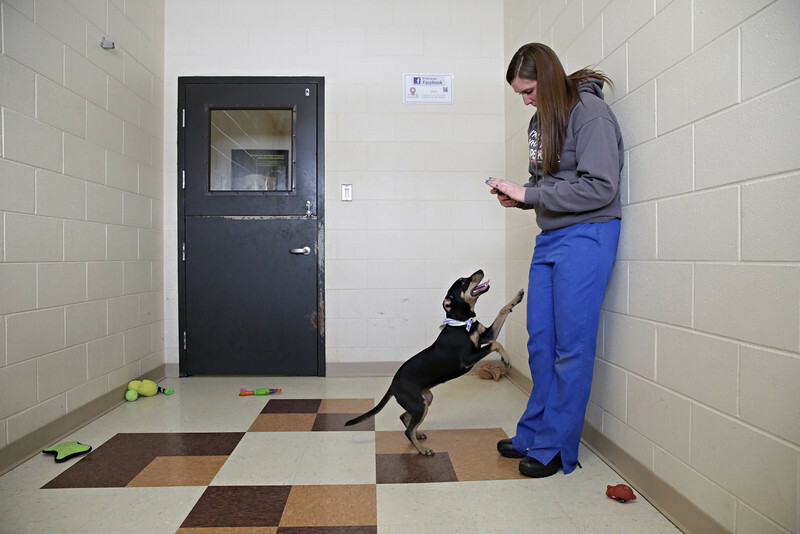 Certified veterinary technician Whitney Armstrong uses her cellular phone to photograph Shadow, a miniature pinscher mix, at Joliet Township Animal Control on Wednesday, March 12, 2014. The images of Shadow will then be uploaded to the JTAC Facebook page. JTAC credits the images on their Facebook for a recent increase in pet adoptions. “It's worth spending an extra 20 minutes to get a good photo, because it helps them find a home quicker,” said Armstrong while taking the photographs.